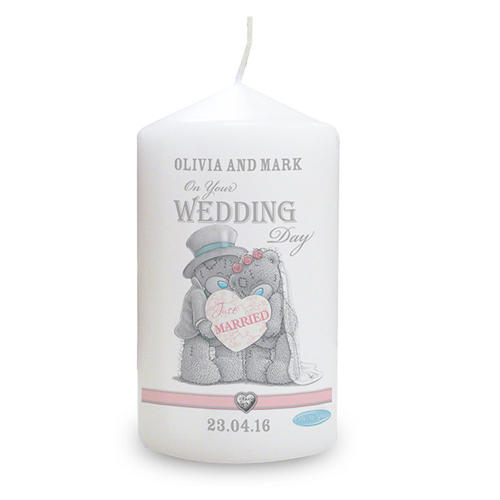 Personalise this Personalised Me to You Wedding Couple Candle with a couples name up to 20 characters long. 'On your Wedding day' and 'Just Married' is fixed text on this item. Then add a date or a message up to 10 characters long. All personalisation entered on this product will appear in uppercase.